This end unit features 3 bedrooms and 2.5 baths, with a 3rd story 382 sq ft deck with incredible views of the Flatirons. The clean brick exterior boasts black trimmed windows, making these modern rowhomes stand proud on east Pearl Street. 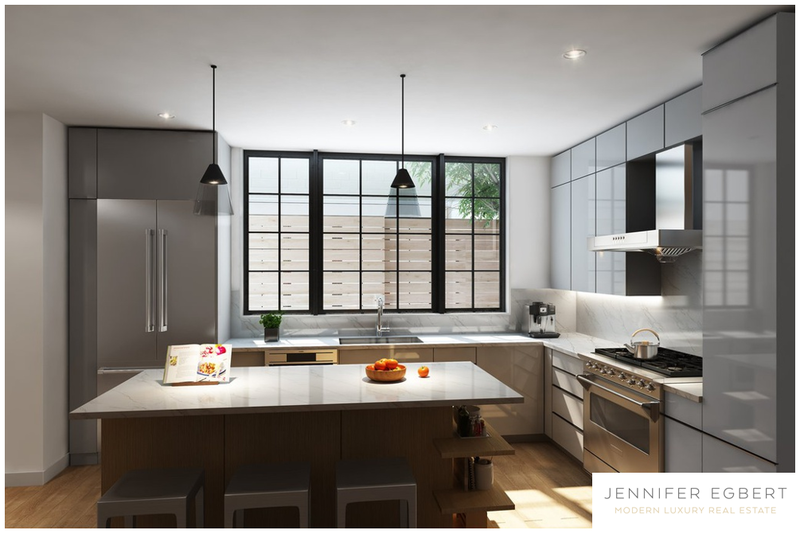 Enjoy sophisticated Scandinavian-inspired modern interiors, white oak floors, Caesarstone countertops, and stainless steel appliances. Listed by RE/MAX of Boulder.